WINE TOWER, chr., tpl s.s. fau/shk. 304s.s. t.p - F.H. Steinbart Co. 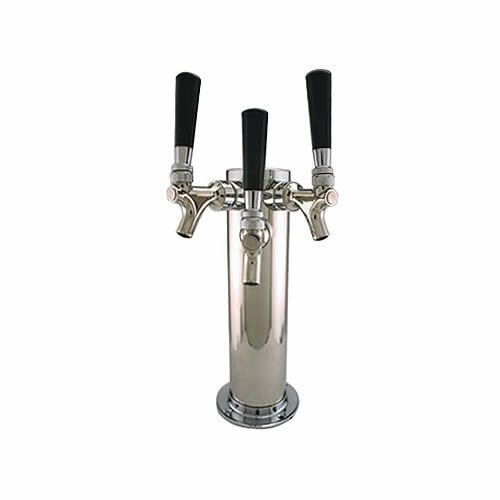 This triple faucet tower features three 304 stainless steel faucets, shanks and tail pieces for dispensing wine. Complete with 5 feet of 1/4" braided barrier poly hose per line, gasket, mounting screws and hex nuts for connecting to standard couplers.